Born in Aberdeen, Scotland, John Watt Beattie was introduced to photography by his father. The family moved to Tasmania in 1878 and four years later Beattie began working in the studio of the Anson brothers in Hobart. By 1891 he had bought out the brothers, acquiring photographs by them and others which he was able to publish. He was elected a member of the Royal Society of Tasmania in 1890 and formed the historical and geographical section of the society in 1899. 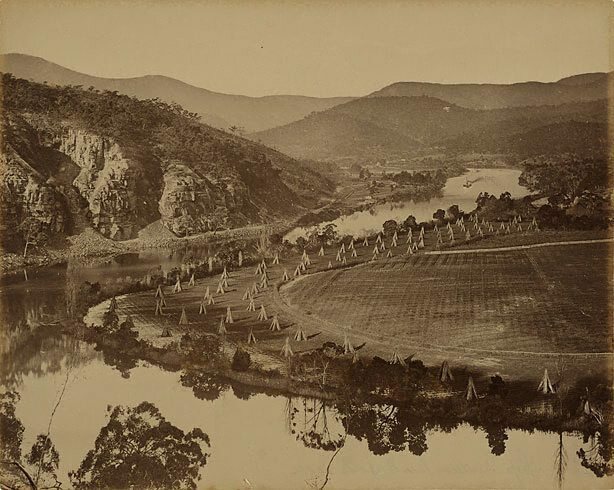 He was appointed Photographer of the Government of Tasmania in 1896 and operated a successful business in Hobart, eventually selling his collection in 1927 to the city of Launceston. Steven Miller, Photography: Art Gallery of New South Wales Collection , 'In every house, and in every tent', pg.33-51, Sydney, 2007, 36 (illus. ), 46 (illus.). Critic's Choice , Sydney, 1994, 4 (illus. ), 8.